Ardent offers SharePoint Solutions to build Business Portals, custom solutions & CRM Tools for effective use of information in your business. Microsoft SharePoint 2013 makes it easier for people to work together. Using SharePoint 2013, your people can set up Web sites to share information with others, manage documents from start to finish, and publish reports to help everyone make better decisions. Want to find out more? 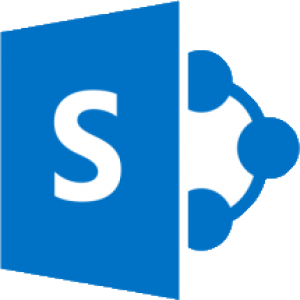 The sections below give details about SharePoint 2013 capabilities. Sites:- SharePoint 2013 Sites provides a single infrastructure for all your business Web sites. Share documents with colleagues, manage projects with partners, and publish information to customers. Insights :- SharePoint 2013 Insights gives everyone access to the information in databases, reports, and business applications. Help people locate the information they need to make good decisions. Communities :- SharePoint 2013 Communities delivers great collaboration tools—and a single platform to manage them. Make it easy for people to share ideas and work together the way they want. Content :- SharePoint 2013 Content makes content management easy. Set up compliance measures “behind the scenes”—with features like document types, retention polices, and automatic content sorting—and then let people work naturally in Microsoft Office. Search :- SharePoint 2013 Search cuts through the clutter. A unique combination of relevance, refinement, and social cues helps people find the information and contacts they need to get their jobs done. We at Ardent provide you with custom web parts, administrative tools and help you with other development projects.We have team of experienced and skilled developers that are able to work with you to define and analyze your application specific requirements and guide through the techniques of integrating your business requirements in a form of Corporate Portal using SharePoint.